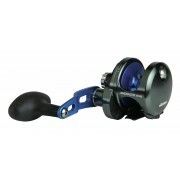 ANDROS 5NS SINGLE SPEED NARROW • Gear Ratios: 6.4:1 • 6 ABEC-5 rated EZO Japanese bal..
AZORES • DFD: Precision Dual Force Drag system • Precision click drag adjustment fo.. 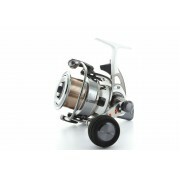 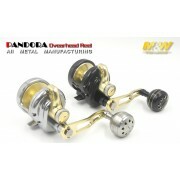 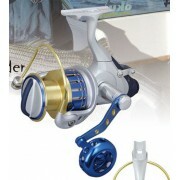 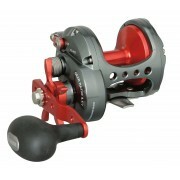 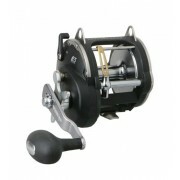 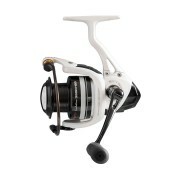 The Okuma Cedros CJF Baitfeeder Spinning Reels are specifically designed for saltwate..
Convector Line Counter Reel Features: • Lightweight corrosion resistant frame and sid..
CORTEZ • 4+1 SUS bearing • Graphite side plate & frame • Forged alum star • Annodize..
NEW INSPIRA • Light weight C-40X carbon frame and sideplate • RCS: Rigid carbon reel .. 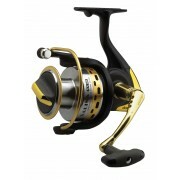 The unique Conch frame shape offers maximum strength as well as an excellent ergonomi..
MAGNETIX • Solid graphite body • Magnetic brake system • 2 stainless ball bearings • ..
METALOID SINGLE AND TWO SPEED • Gear Ratio 6.4:1 • 4pcs ABEC-5 rated EZO Japanese bal..
OKUMA RAW II • Precision Elliptical Gearing system • AlumiLite: Aluminum body and sid..
SALINA • Precision Elliptical Gearing system • 4 stainless steel ball bearings • 1 ..
Solterra SLX Reels Feature: • Stainless steel main gears, pinion gears and shafts • ..
TRIO REX SALT• Multi disc, Jpanese oiled felt drag system • Aluminum spool • Quick-Se..
• Multi disc, Japanese oiled felt drag system • Aluminum spool • Quick-Set anti-rever..
TRIO WHITE • Crossover aluminum and graphite hybrid body design • ADC: Aluminum Dra.. 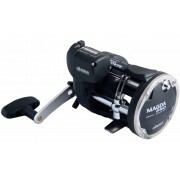 The tireless machine for médium and heavy spinning! 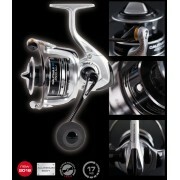 Here comes a new generation of th.. 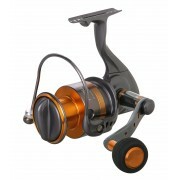 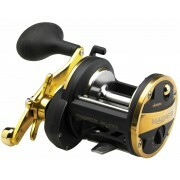 The Cinnetic Crafty Evolution HSG Reel is presented for fishing from a boat. 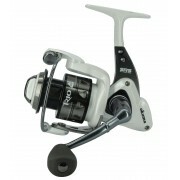 The equi..